A lightweight bag with excellent stability, it wraps around your body perfectly and is easy to reach. Every part was carefully designed, from its revolutionary form to each belt. RUSH 28 helps you move faster. We used the vest wrap concept, which is a key feature of the RUSH series, for this product because it makes people feel like they are wearing a vest instead of carrying a backpack. 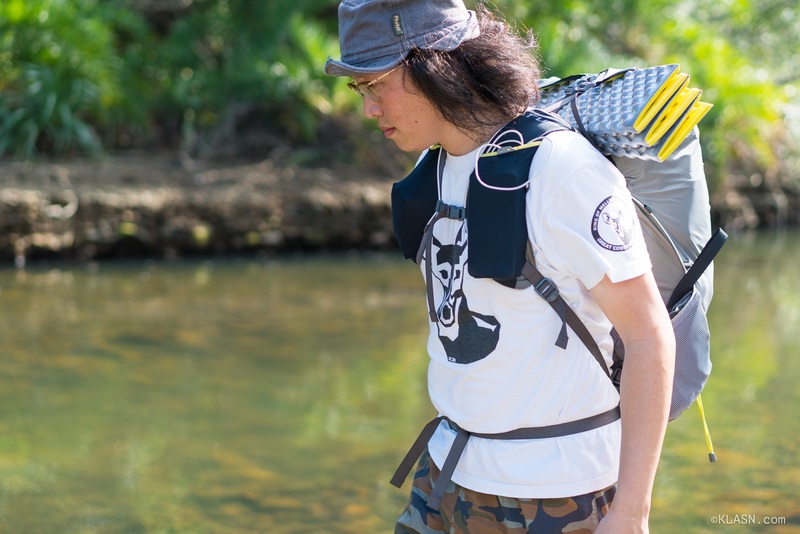 We used the vest wrap concept, which is a key feature of the RUSH series, for this product because it makes people feel like they are wearing a vest instead of carrying a backpack. The form, center of gravity and harness structure are instrumental in ensuring that the bag matches the contours of your body. The top stabilizer tends to be weak for this type of bag, causing the upper part to move uncontrollably, which in turn ruins the upper body balance and puts stress on the body without the person realizing it. To resolve this problem, we designed a unique stabilizer structure and added a wide shoulder belt. Side compression is a common method used to prevent the contents of a bag from moving around, but the bag will lose its shape without a hard back panel and it is a hassle to have to pull the belt on both sides all the time. Consequently, we came up with a center compression method to resolve this issue. This new structure makes it possible to make quick adjustments to the bag after you put things in or take them out. The RUSH series applies the same basic concept as Pathfinder, which allows you to keep what you need in front of you. 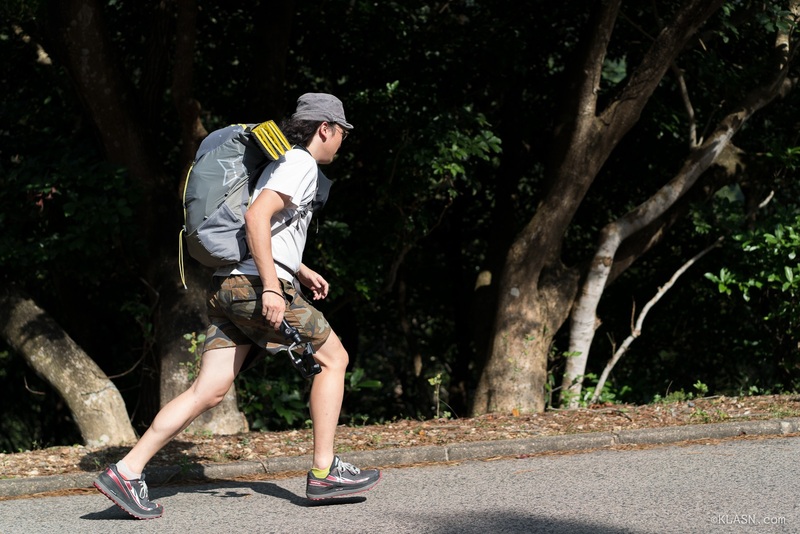 Unlike other backpacks with a similar design, RUSH 28 has a large shoulder pocket so that your water bottle and snack bars stay within easy reach when you are running. We also made sure that the items in the bag can be reached easily in order the reduce stress when packing.